I love a ton of different fragrance brands, but hardly any where I love every. single. scent! Except for Aerin. 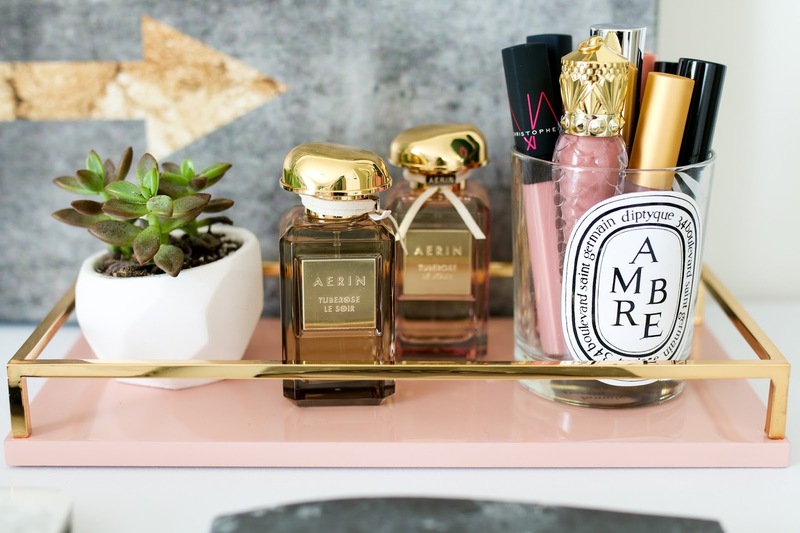 I have featured her fragrances on the blog more times than I can count (remember this post, this post and this post), and credit the brand for convincing me to begin loving rose scents after finding this one that continues to be one of my all-time favorites. So when I heard she launched a new fragrance, I could not wait to try it. The two most recent additions to the Aerin fragrance collection are Tuberose Le Soir and Tuberose Le Jour. I don't know how she is able to make floral fragrances that I can stand, let alone fall in love with each time but I swear her combinations are some of the best around. Le Soir is the evening version while Le Jour is a lighter option for day, but to be honest the differences between them is so subtle which makes them both appealing and wearable. Le Jour mixes tuberose with neroli, orange flower and jasmine for a woodsy feminine appeal, while Le Soir is much warmer with notes of sandalwood, vanilla and bergamot mixed with the tuberose. Since I am already a huge sandalwood and vanilla fan, I gravitated towards Le Soir first but still love how delicate and fresh Le Jour smells when on the skin. 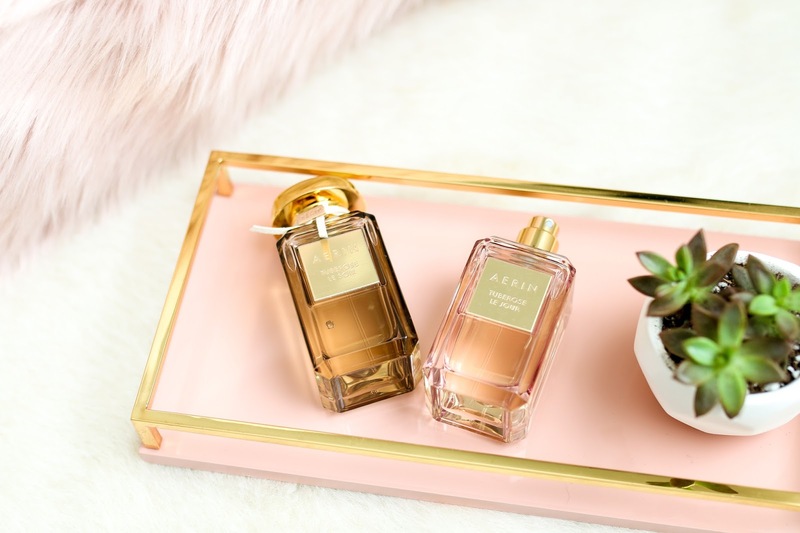 Between the packaging, the quality of the ingredients and how it wears on the skin, Aerin fragrances never disappoint and are truly some of the most elegant, refined and universally flattering scents I've ever tried.